About a year ago I came across this heavenly recipe. I wish I could accredit the correct source but unfortunately I don’t remember what blog I stole this recipe from; however, I will be honest and say that I found this somewhere on Pinterest. I’ve never, ever been a cookie fan. They are way to much work for me. I like simple quick cake recipes instead! 🙂 These cookies, however, are so amazing that I usually don’t mind doing the work. 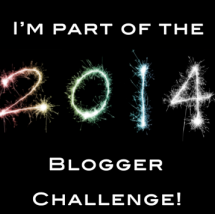 (Which really isn’t that much work….and that’s probably why I love them so much!) 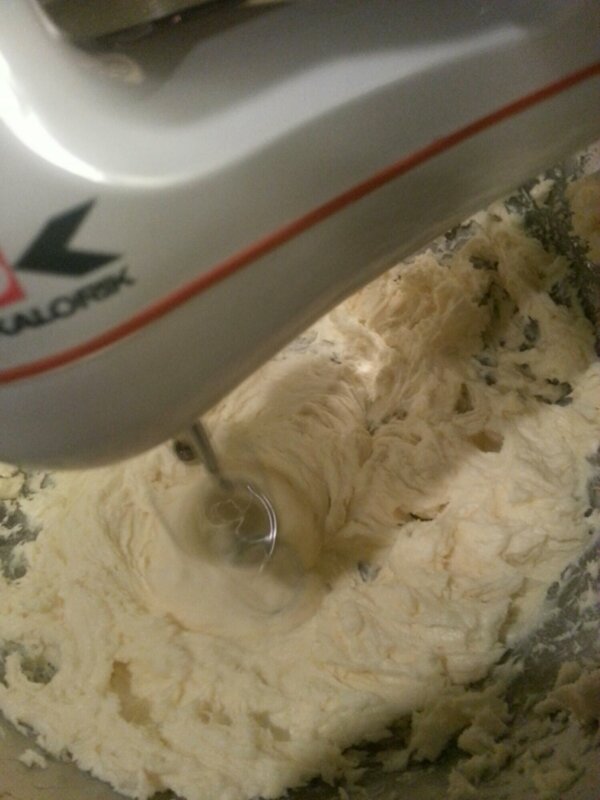 If you THINK you have the best cookie recipe in the world, you are sadly mistaken. These cookies have the texture of a cookie but the goodness of a cheesecake! 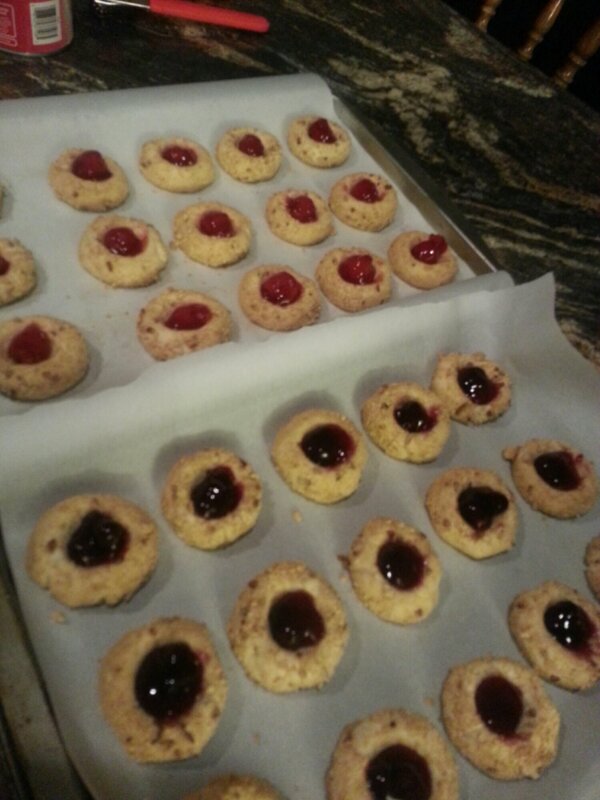 This recipe made me about 5 dozen cookies; tis the reason I don’t make them often…I tend to eat them all! 3 1/2 cups all-purpose flour, 2 teaspoons baking powder, 1 teaspoon salt, 2 1/2 sticks butter (20 tablespoons), softened, 2 (8 oz) packages of cream cheese, softened, 1 1/2 cups granulated sugar, 2 large eggs, 2 teaspoons vanilla extract, graham cracker, pecan bits and a can of cherry pie filling. 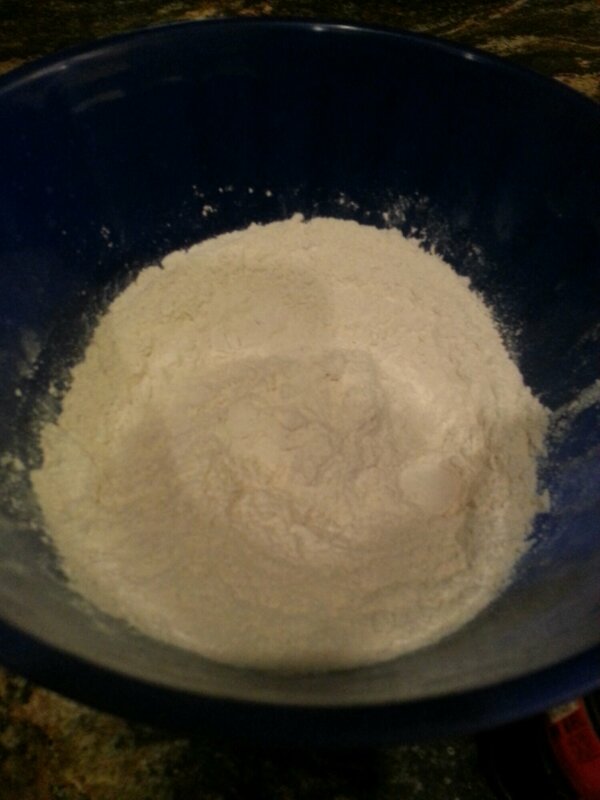 I started by combining the flour, baking soda and salt in a mixing bowl and set it aside. I then turned to my ginormous mixing bowl (because that’s all I have) and combined the softened cream cheese, butter and sugar. I then mixed with my trusty $5 mixer that I bought at Dillard’s ages ago for about 3 minutes…or until you see it all mixed pretty well. 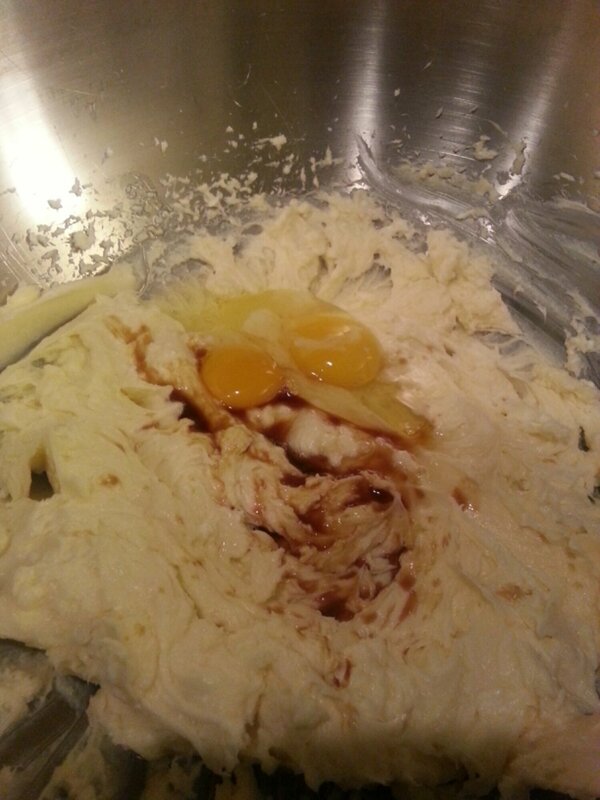 When that is all mixed up I then added the eggs and vanilla extract and continued to mix for about a minute. I slowly started to add the flour mixture to the wet mixture….very slowly…because sometimes I end up with a huge mess of flour! 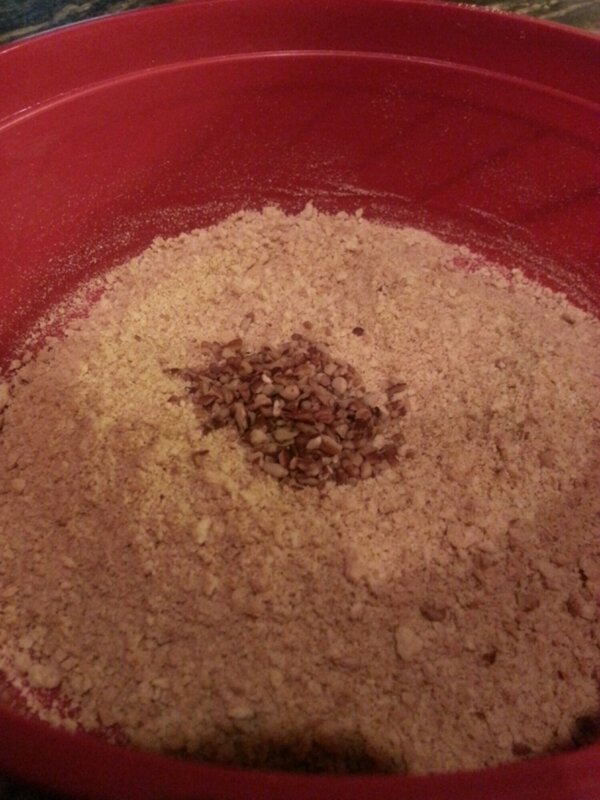 I then got my dough out of the fridge and made little two-inch balls and rolled them in my graham cracker pecan mixture. I rolled out as many as I could put on my cookie sheets which were about 30. 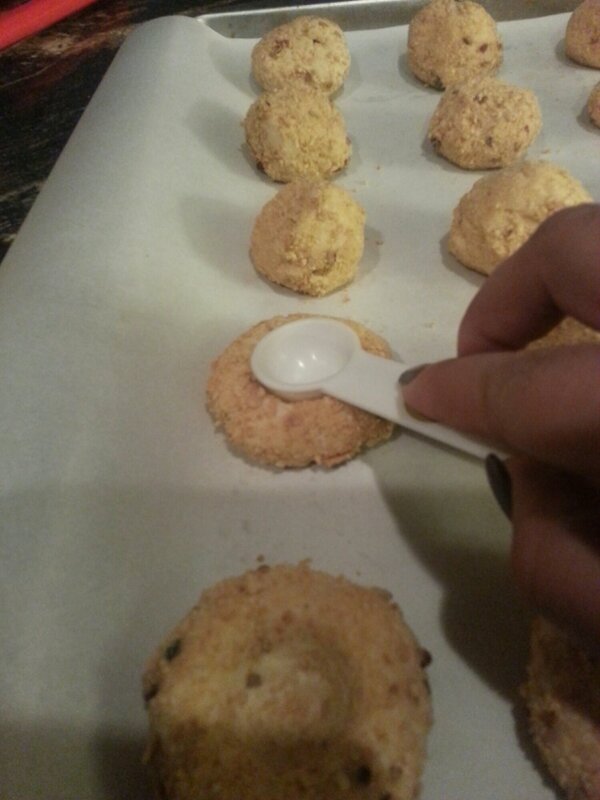 To make room for the filling I used a round teaspoon and pressed each cookie. 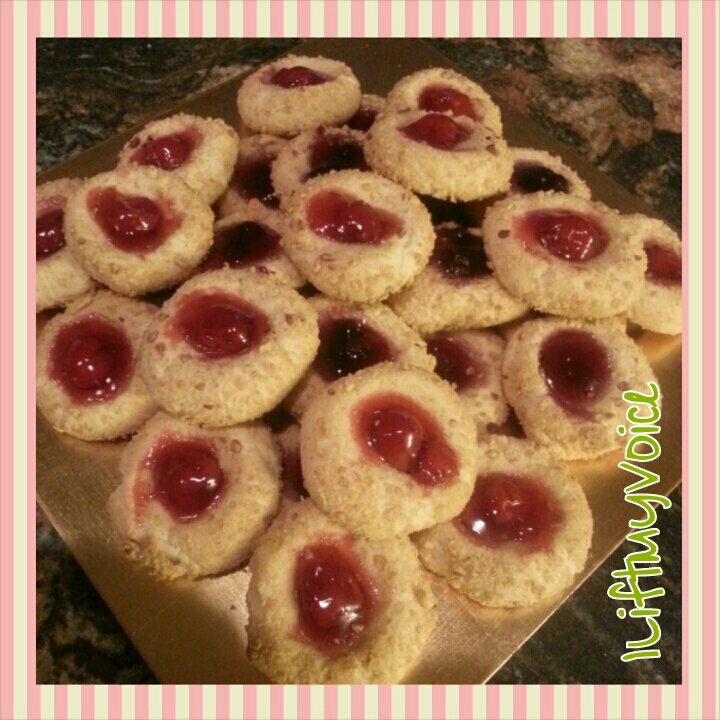 It’s perfect for these little cookies! 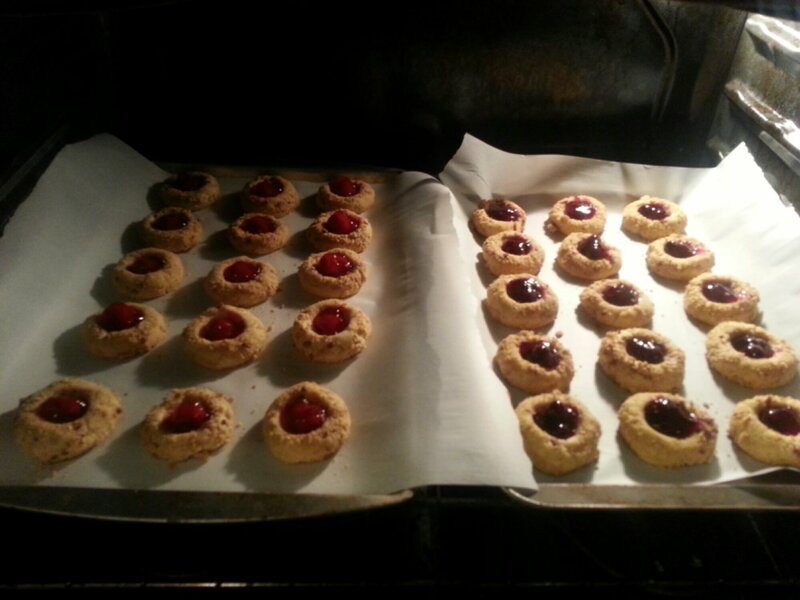 I then went on and put a cherry or a couple of blueberries in each cookie. 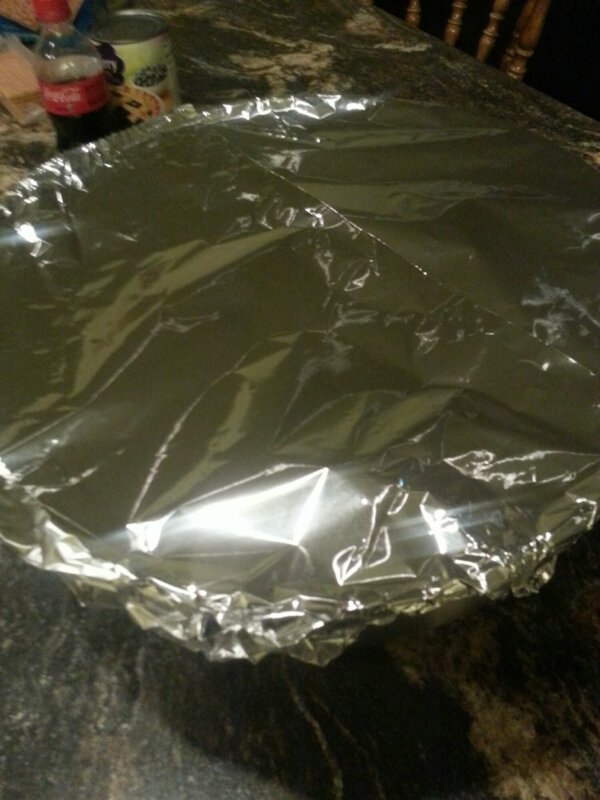 Make sure and put some of the actual filling in there too….that’s the best part! 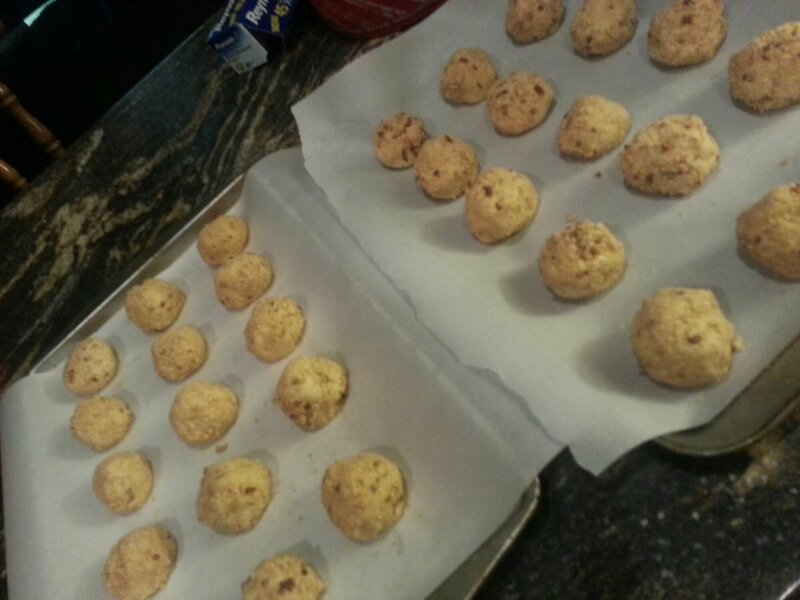 I popped them in a 350 degree preheated oven for about 13 minutes. 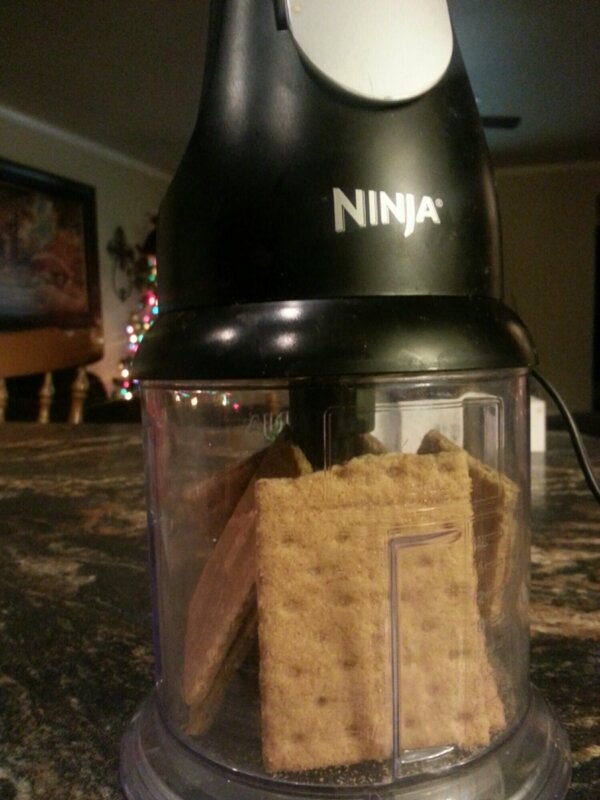 Be careful because these cookies are kind of easy to burn…trust me…I should know. 😉 As long as the bottom of the cookie is a toasty brown you are still good! Instructions: In a bowl, combine flour, baking powder, and salt. Set aside. 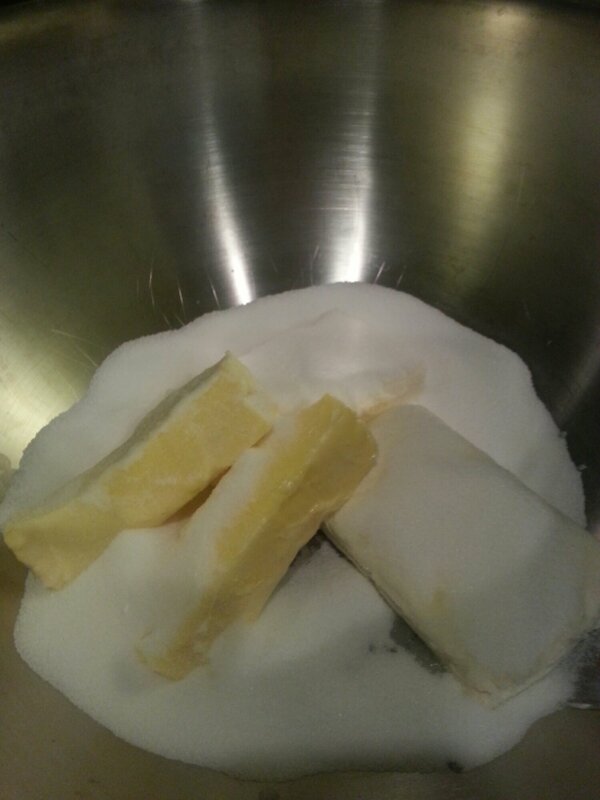 In another bowl, beat cream cheese, butter and sugar for about 3 minutes. Add eggs and vanilla and mix until combined. 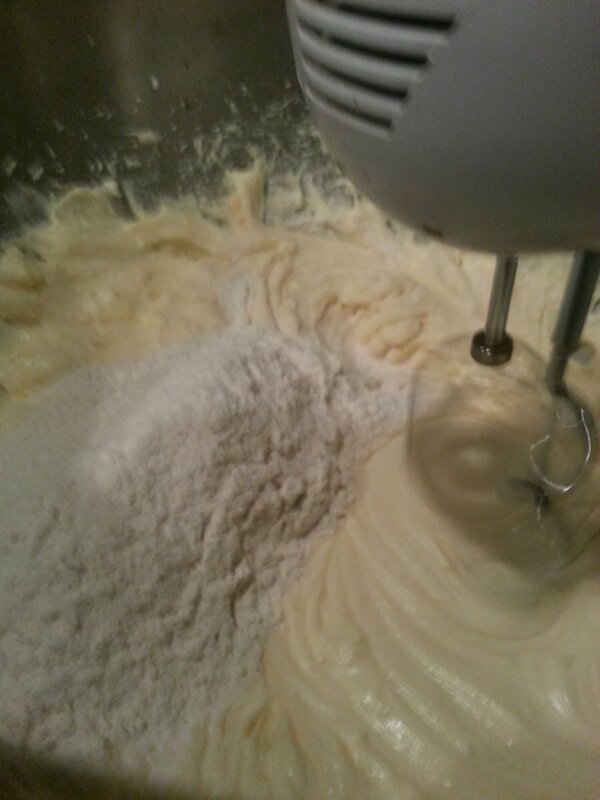 Reduce mixer speed to low and slowly add flour mixture. 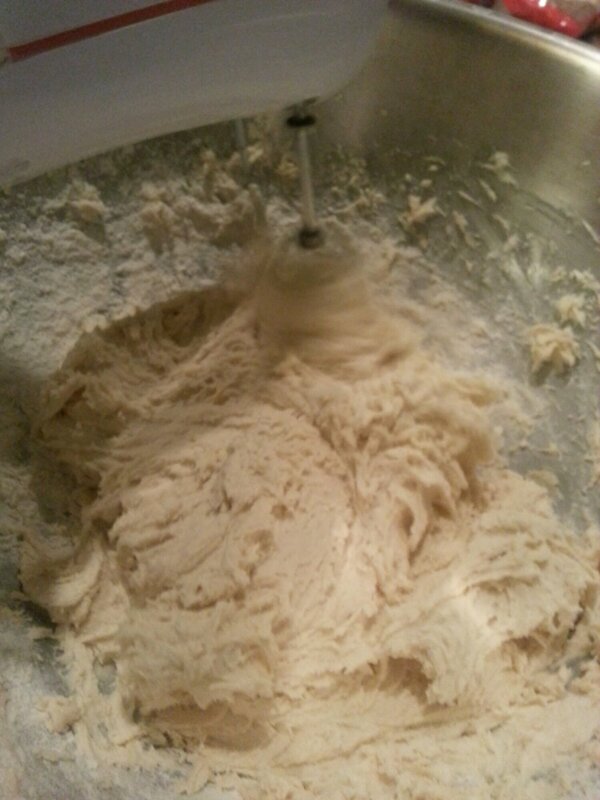 Cover the dough and refrigerate until firm. 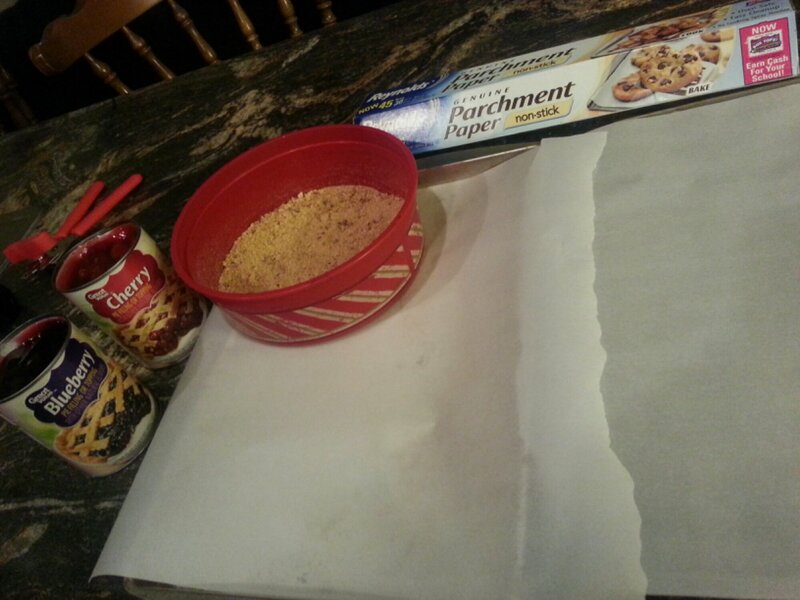 Preheat oven to 350 and line baking sheets with parchment paper. 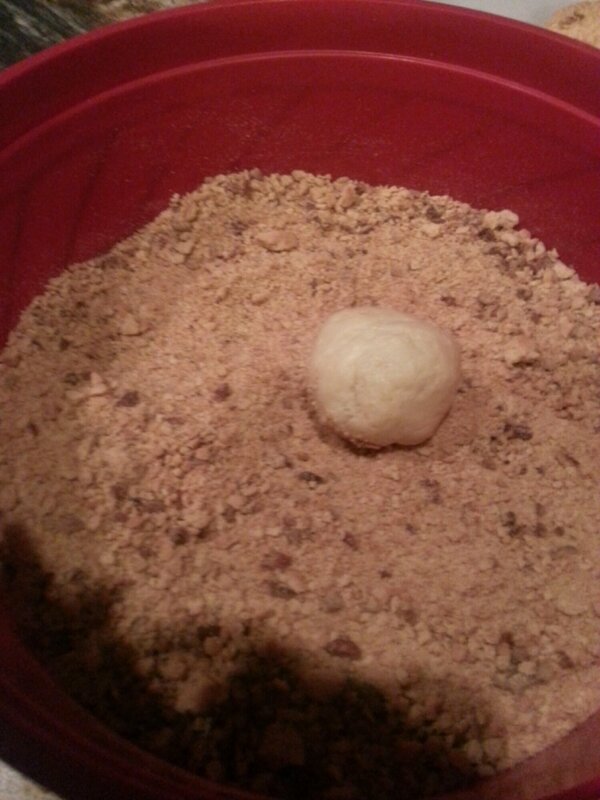 Roll dough into 2 inch balls, then coat completely in graham cracker crumbs. Place 2 inches apart on baking sheet. 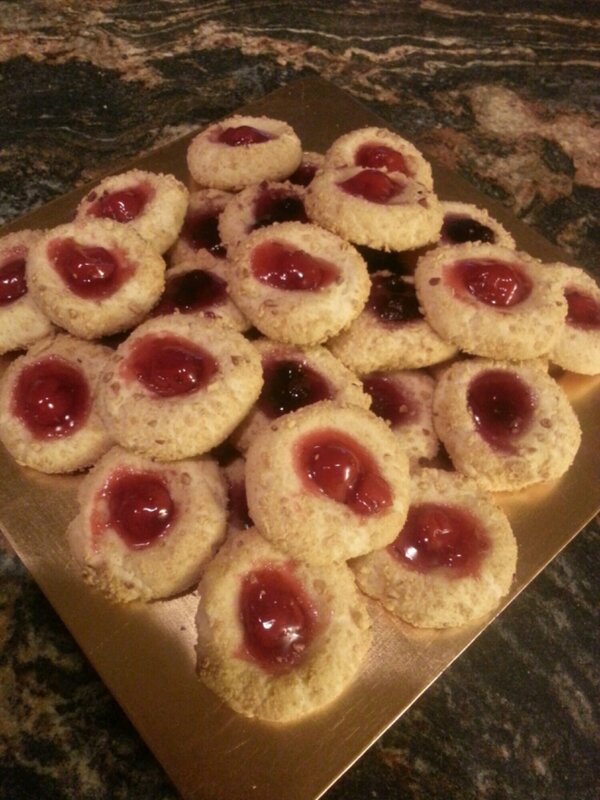 Using a rounded spoon, create an indentation in the center of each cookie and place a cherry in the center. Bake until cookies are toasted, about 13 minutes. Let them cool for about 10 minutes or so. 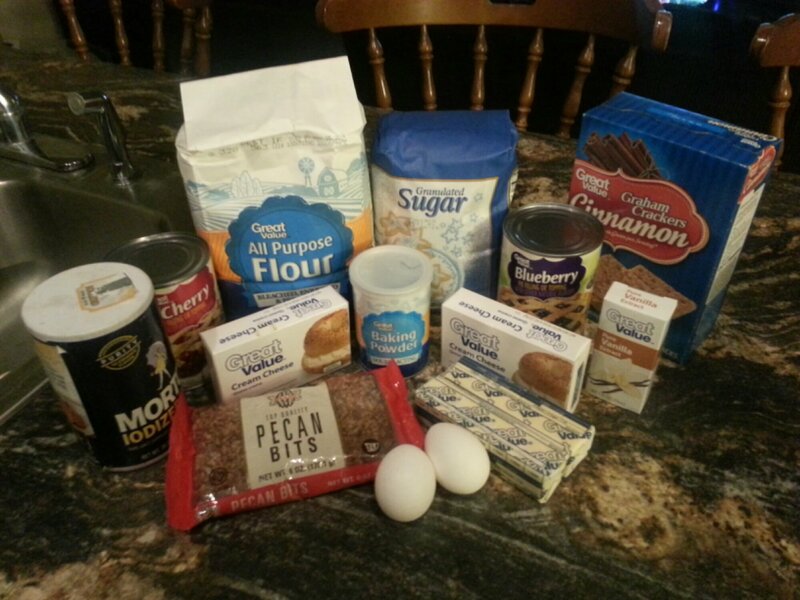 This entry was posted in Recipes and tagged cookies, Recipes on January 13, 2014 by Monica.